Late Anjan Chaudhury, an MBA by qualification, started his career in various renowned FMCG organisations and then with the service industry. He served the service industry for more than a decade before initiating the formation of the Visual Group. 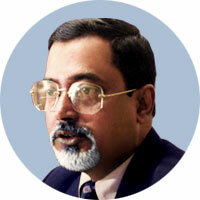 He had an overall experience of more than 35 years as a leader in the corporate sector. 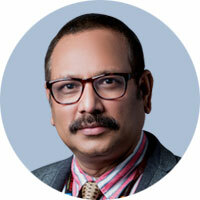 Mr. Chaudhury had been a first generation entrepreneur and founder of Visual Securas Limited. He established the organisation in January 2005. He initiated the activities with just a handful of people and a small rented office in Kolkata. Today, within a span of just 10 years Visual has expanded in each metropolitan, suburban and even at the remotest locations of North, South, East, North East and Western parts of India with its various wings of services. 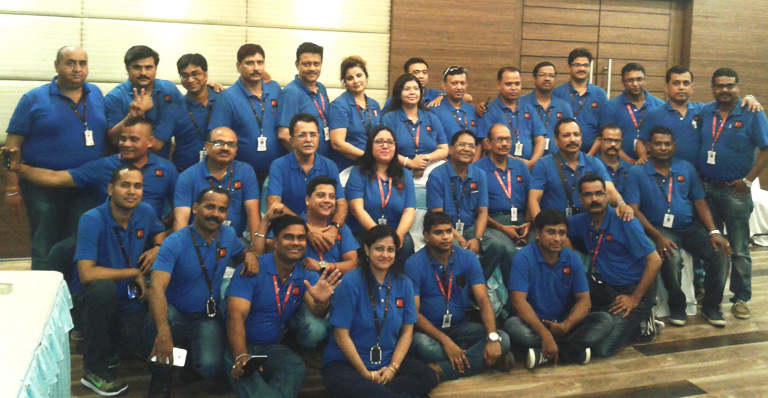 Visual family has now expanded with a workforce of more than 10,000 employees. Mrs. Moumita Sen is a post-graduate having an extensive work experience in various service industries for almost 20 years. She joined Visual Securas Limited in 2009 in the board as one of the active directors and has been instrumental since then in the expansion of the organisation in terms of diversification in various new segments as well as spreading the existing business geographically. Her dynamic leadership has provided an outstanding growth in the last few years. Mrs. Sen believes that it is the dedication and performance of the Visual Family which has held the flag high. Now her challenge is to make Visual Group a pioneer in the service industry by putting more efforts in refining the quality, processes and performances of services to evolve as a system driven organisation. 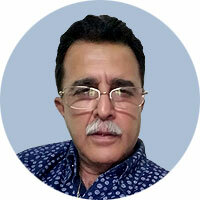 Mr. Akbar Ali is the Director of the company who joined in the year 2011. He is a B.Com & LLB from Calcutta University. Mr.Ali secured highest position among the professional managers in the course "International Logistics Management & Indirect Taxation" organized by IIMM Kolkata. 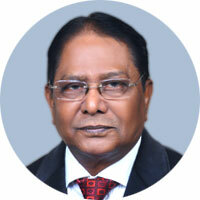 He rendered his valuable services in various eminent organizations for more than 42 years on Legal and Logistics. He was awarded the "President’s Scout" award by the Late President of India Dr. Zakir Hussain. He is actively associated with various social & cultural organisations since 1982. He heads the overall responsibility of administration, legal and logistics processes of the organisation. Mr.Ali is one of the core team members of the think tank of the organization for its policy implementation, strategic management, development and change management. Mr. Aneel Khanna is a diploma holder in marketing management from Jamnalal Bajaj Institute of Business Administration, Mumbai, and is one of the core team members of the Visual Management Team. 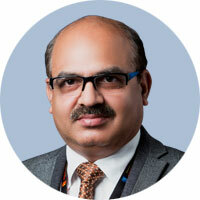 He brings with him more than 18 years of relevant experience in the security industry with leadership roles in various multinational and Indian companies. He is known for his innovative ideas and dynamic leadership. Prior to this Mr. Khanna had 15 years of experience in various Industry verticals and led the marketing and business development teams. Mr. Subrota Kumar Debnath is a graduate and having a management degree in 'Personnel Management' and 'Industrial Relations'. He is the founder of the Cash and Valuable Services (CVS) division of Visual Securas Limited and has designed its code of conduct and implemented the division from scratch. Under his great leadership and initiative Visual CVS division has spread the operations and business in thirty eight (38) PAN India locations since its inception and has been growing with equal pace targeting each primary location across India. Prior to this Mr. Debnath has served the prestigious Indian Navy’s Executive wing in the middle management. He had participated in Sri Lanka and Somalia operations in the year 1988 and 1993 respectively besides his various other overseas assignments. Mr. Debnath has been awarded with 'Long Service & Good Conduct', 'Videsh Seva' and 'Sainya Seva' medals. He is having 33 years of work experience in various multinational organisations which includes more than 18 years of experience in the service industry with core competency as a leader in Security and Cash Management services. Mr. Manas Ganguly is a post-graduate in Industrial Relations and Personnel Management from Bhavan’s Sardar Patel College of Communications and Management, Delhi. 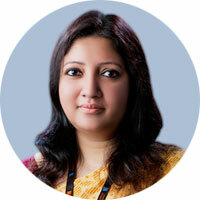 He heads the entire Facility wing along with the special service of the same in Telecom industry at a Pan India level. Prior to this he has served the prestigious Indian Air Force for 23 years in Logistics and as Russian Interpreter. In this span of service he has served the overseas assignment of IAF as Russian Interpreter, coordinator in Sukhoi-30 project team, Embassy of India, Moscow for more than 3 years. On successful completion of initial terms and engagement with IAF, he rendered his valuable services in the service sector in the Facility wing for more than 11years.